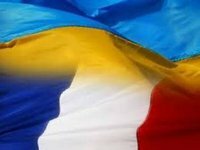 The Ukrainian embassy in France has approached the management of the AFP news agency with a demand not to allow for the publication in their newsfeed of maps with an illegitimate depiction of Crimea annexed by Russia. "Despite numerous explanations and an unambiguous clear stance of the international community, some French media continue to make mistakes in the designation on the maps of the Crimea illegally annexed by Russia," the embassy said on its Facebook page on Wednesday. "In connection with the publication by the AFP of a wrong depiction of Crimea on the map on Twitter on February 4, the embassy contacted the news agency's management and demanded that necessary measures be taken to correct the situation and not to repeat such incidents in the future. We are expecting an appropriate response," the Ukrainian embassy said. According to media reports, AFP published an infographic on February 4 in its Twitter microblog, where three groups of countries were depicted: those that support Venezuelan President Nicolás Maduro, those that support the country's interim president, Venezuelan Parliament Speaker Juan Guaidó, and those that remain neutral. On the map, Crimea was depicted in the same color as the territory of the Russian Federation.